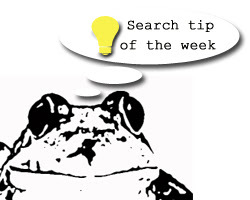 This week our tip is related to Paid Search. For the SME running a Paid Search campaign on a limited budget there are various ways you can ensure you get maximum bang for your buck! So here is a tip on how you can make sure you are not wasting money on clicks that are not likely to convert for you. “Do not Broad Match” your terms. If you just type a list of terms into your ad groups on Google the automatic matching of your terms will be “Broad.” This means that your ad will be shown for any search containing your search terms in any order. As you can see these will not be relevant to your car selling business and so could result in low click through rates or a large number of untargeted visitors to your site. Sooooooo to drive more targeted visitors to your site and limit the amount you spend on wasted visitors, we recommend for those on a tight budget that you “phrase” or “exact” match your terms. If you put “” around your search terms this means that your terms will be “phrase” matched. This means that your ad will only be shown for searches that contain the full search term in the right order. This would result in far more focused traffic to your site and you are likely to be paying a far lower cost per click. If you “exact” match by placing  around your terms they will only be shown for the exact terms with no other words on either side. This will give you even tighter control over the searches your ad is shown for, again reducing your spend and giving you more focused visitors. However, with exact matching you are limiting your exposure. So if you are spending more than you want and finding your campaign is giving a low return on investment why not just try making all of your search terms “phrase” matched and seeing what happens!!! !